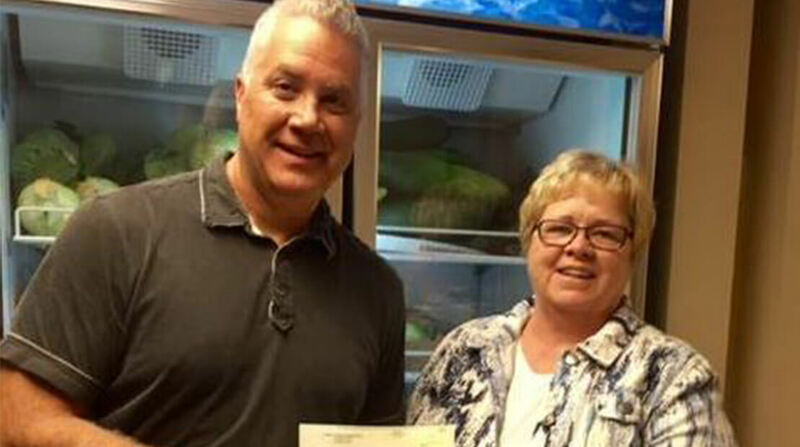 Jennie-O Turkey Store Montevideo (Minn.) Plant, the local manufacturing plant owned by Hormel Foods Corporation (NYSE:HRL), announced today that it will donate $10,000 to the Chippewa County Food Shelf to help combat hunger in Montevideo and surrounding communities. The plant also donated funds to this organization in 2012, 2013 and 2014. The Chippewa County Food Shelf is a local charitable organization distributing nutritious food to individuals, families and children in need. Hormel donates $38,000 worth of luncheon meat Hormel Foods is donating 10 pallets of Black Label Luncheon Loaf to assist the people of Saipan recover from the effects of Typhoon Soudleor. Hormel Foods Donation Helps Fight Hunger Diamond Crystal Brands donated a total of $10,000 to local organizations to fight hunger in the community.